The province of Malaga is situated in the south of Spain, a province where the sun and good weather are its signs of identity (see our Malaga map). Every year more and more tourists choose to visit Spain, and Malaga is normally one of the favourite destinations. We are going to analyse the province’s main tourist attractions. Malaga in one of the 8 provinces in Andalusia, located on the coast of the Mediterranean sea, in between Seville and Granada, two of the other most visited destinations in southern Spain, which is why this province is the ideal place to start your holiday. A province with a great history, founded by the Phoenicians that, together with the Romans and Arabs, have left us a legacy of an incalculable value that has remained over the passage of time. Malaga’s climate is sunny and mild with over 300 sunny days a year. The best months to visit Malaga if you’re looking to enjoy the sun and sea are July and August, although more and more tourists come and enjoy the months of May, June, September and other months of low season as they are not as hot but warm enough to enjoy the wonderful beaches and a lot less packed. The average temperature is 23º, with peaks of up to 40º during the high season. Malaga has one of the most important ports in Spain and is the arrival point for thousands of tourists that cruise around the Mediterranean. Malaga is the city with the most economic activity in Andalusia where its main source of income is the tourism. Its new facilities tend to be aimed to increase the number of travellers, improving the airport or the communications network, both the roads and high-speed trains in the reformed Maria Zambrano train station. Malaga has an important fishing industry, with a port that holds over 500 boats that capture fresh anchovies, mackerel, sole fish and hake, amongst many other species of fish. 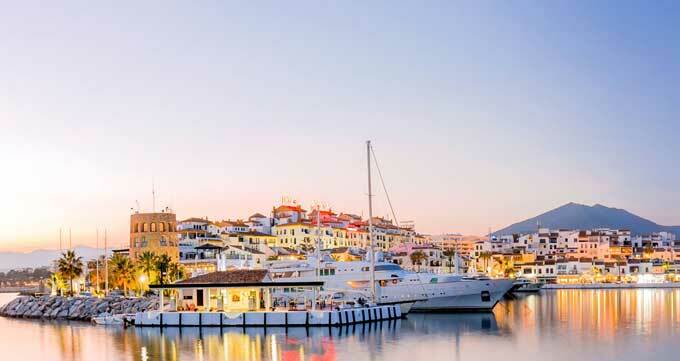 Its tourist and fishing industry make Malaga the perfect place to enjoy exquisite dishes of fish and seafood. If you like shopping, this province has experimented an increase of large shopping centres over the years, where we can highlight Ikea for example, one of the most famous shopping centres for furniture and home decoration in general, or Decathlon for all kinds of sporting items, Mediamarkt or Worten for electronics, IT and electrical appliances...although we will find many more. The city of Malaga has a history that goes beyond the roman empire, the human presence since the prehistoric times has made Malaga a place full of tourist attractions with museums full of archaeological remains. 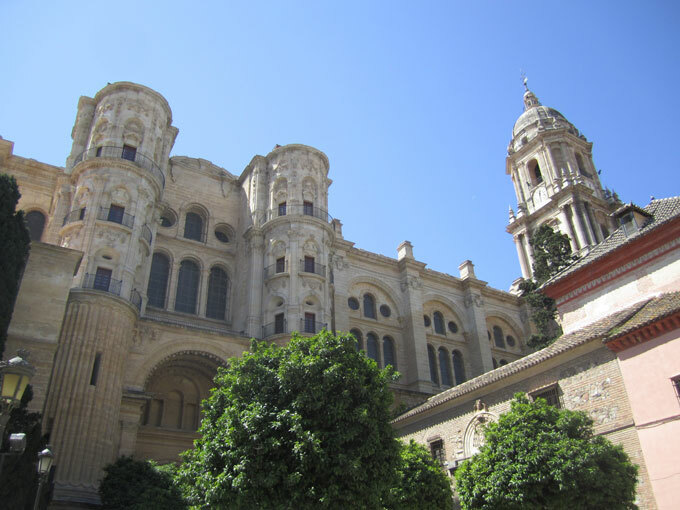 You may visit our Malaga pictures to learn more about touring around Malaga and to enjoy some of its images. Apart from the tourist attractions, the climate here is ideal, which is why it’s not strange to see that there are a great amount of foreigners that have decided to move to Malaga, so it’s quite common to find Irish pubs, English pubs or even Dutch pubs where other languages are spoken as well as Spanish. The locals in Malaga are called “Malagueños”, they are generally happy, outgoing people who like to go out on weekends to dance or for a few drinks. There are two main famous Malagueños, internationally well-known, Antonio Banderas and, of course, Pablo Ruiz Picasso. Apart from the good weather and its people, Malaga has several tourist attractions such as great beaches, a cuisine that’s rich in Mediterranean flavours, museums and buildings that will take us to the past, like the Cathedral or the Citadel (the Alcazaba). If you wish to discover the popular events in Malaga and you visit during the month of August, you’ll really enjoy the Malaga Fair. 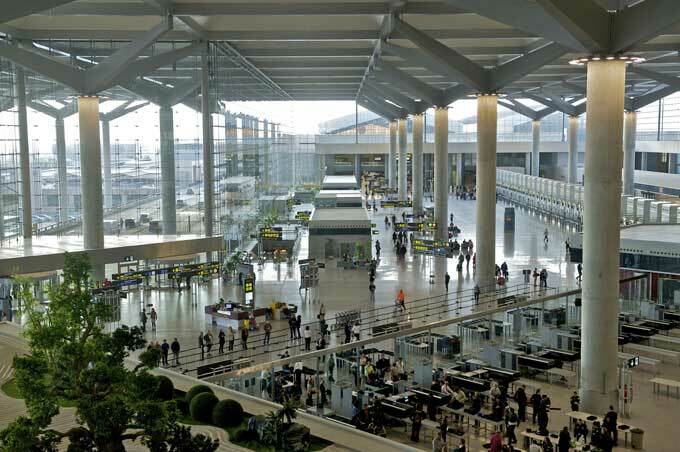 Malaga airport was enlarged to host a new runway to make more space for the large number of flights that arrive at Malaga from all over the world. The airport has a large parking lot and access to taxis, buses or trains; or if we prefer to hire a car at Malaga airport, feel free to check out our prices and choose the model that best suits your needs. Malaga airport is located midway to other destinations like Granada, Almeria or Seville, which is why it’s the access point of a great amount of tourists that choose our province to discover the whole of Andalusia. If you wish to learn more, like its history or its services, all you have to do is visit our section about Malaga airport. Malaga, as a coastal city, offers a wide range of water sports that we can practice, such as jet ski rental, water-skiing, pedalo rental, several water attractions and water parks, beach volleyball, etc. The province also has an important well-known basketball (Unicaja Malaga) and football (Malaga F.C.) team. If you wish to practice other sports as well as the previously mentioned, you’ll find a large variety of trekking routes in Malaga visiting any of its natural parks, or play golf on the Costa del Sol...or simply go for a walk around one of Malaga’s marinas. During the national or local festivities, the majority of the establishments close in Malaga. The province has religious bank holidays (festive days) that have endured over the passage of time since the city was conquered by the Christian troops during the middle ages, as well as other celebrations of pagan origins. 19th August - Malaga's incorporation to the Castile Crown, day when the fair of Malaga is celebrated. 25th December - Christmas Eve. The celebration of the Malaga Fair which is held in the massive fairground on the outskirts of the city with fun rides and attractions for all ages, fast food stands and huts where one can taste the typical gastronomy of Andalusia or enjoy the music whether it’s the traditional flamenco or modern dance music to dance the night away, depending on the hut you choose. The celebration of the night of San Juan, where they light bonfires on the beaches all along the coast and carry out pagan traditions like burn little notes or swim in the sea at midnight. Malaga university is divided in two campuses, the old one called "El ejido" (the original University of Malaga), and the newer and bigger one called "Teatinos" (now most of the faculties are found here). At this moment there are more than 35.000 students and 2.000 teachers between both campuses (an average of 16 students per teacher). More information available at www.uma.es (Malaga university official site). Situated by the sea, we must highlight the presence of several Marinas, like Puerto Banus, a luxury tourist destination where celebrities from all over the world spend their holidays and where many internationally famous actors like Sean Connery have bought a second home. Millions of people visit Puerto Banus every year, an area of Malaga where it’s easy to spot exotic sports cars and one can visit luxury stores. Another Marina well worth visiting is the ‘Muelle 1’ in the port of Malaga that due to its proximity to other interesting monuments, it’s the ideal place to stop for a bite to eat in one of its restaurants or to visit one of its many shops. If you like the idea of discovering the province’s interior, the narrow streets of Arabic origins and the typical white villages of Andalusia, you mustn’t miss out on visiting the villages of Malaga. On the right-hand menu you can see a list of the villages that you can visit to get further information on each one. A visit to the villages of Malaga means enjoying the natural environment that surrounds them and the excellent gastronomy that they offer with typical dishes from the area. Most of the villages have their own celebrations that are highly recommendable like the village of Maro for example with its celebration of the ‘Moorish Moon’ (Luna Mora).